Animal and Plant Health Inspection Service (APHIS) - APHIS' primary role in the U.S. food safety network of agencies is to protect against plant and animal pests and diseases. Australian Competition and Consumer Commission (ACCC) - ACCC's primary responsibility is to ensure that individuals and businesses comply with the Commonwealth competition, fair trading and consumer protection laws. BEUC - Investigates EU decisions and developments likely to affect consumers, with a special focus on five areas identified as priorities by our members: Financial Services, Food, Digital Rights, Consumer Rights and Enforcement and Sustainability. California Department of Consumer Affairs - Licenses more than 2.5 million Californians in more than 200 different professions ranging from doctors to accountants to contractors. California Department of Financial Institutions (DFI) - Responsible for administering state laws regulating state-licensed financial institutions: banks, credit unions, industrial banks, savings associations, trust companies, offices of foreign banks, issuers of travelers checks and payment instruments (money orders), and transmitters of money abroad. California Office of the Attorney General - Represents the people of California in civil and criminal matters before trial, appellate and the supreme courts of California and the United States. California Registry of Charitable Trusts - This web site offers information to assist you in evaluating solicitations and choosing wisely when responding to charities and commercial fundraisers who must register with the California Attorney General's Registry of Charitable Trusts and report financial activities annually. By searching the charities database, you can see if a charity is registered and reporting its activities as required by law. California Safe Cosmetics Program Product Database - Requires companies that manufacture cosmetics to report any cosmetics products that contain ingredients known or suspected to cause cancer, birth defects, or other reproductive harm. The California Safe Cosmetics Program (CSCP) collects this data and makes it available to the public through this website. California State Bar - Created by the state legislature in 1927, the State Bar is a public corporation within the judicial branch of government, serving as an arm of the California Supreme Court. All State Bar members are officers of the court. Membership in the State Bar of California affords attorneys the right and privilege of practicing law in this state. The bar's integrated network of functions and services - many of them mandated by law - protects the public and assists attorneys in meeting their professional obligations. CALPIRG: Consumer Protection - Through public education, direct service and advocacy, CALPIRG educates consumers on their rights, provides counsel and information to consumers and campaigns for legislative change in Sacramento and Washington, D.C. Complaints - Publicizes and researches consumer complaints. Complaints Board - Helpful information for consumers regarding allegedly unethical companies, bad business practices. Complain and submit your complaints or research previous complaints. Complaints List - An interactive computer service where the general public and customers of businesses can submit complaints, reviews, or reports about a company, business, or person that has mistreated them in any way. Consumer Complaint Database - Maintained by the Consumer Financial Protection Bureau, an official website of the U.S. Government. Consumer Dangers - Keeping the public informed about consumer dangers and safety issues associated with numerous products that can cause the public harm. The website is continually updated with breaking news from Government agencies, watchdog groups, and concerned citizens about recalls and safety affecting consumers. Consumer Product Safety Act - U.S. Code Title 15, Chapter 47. Consumer Product Safety Commission (CPSC) - Charged with protecting the public from unreasonable risks of serious injury or death from more than 15,000 types of consumer products under the agency's jurisdiction. 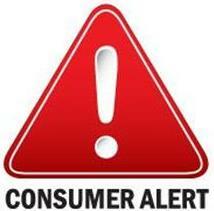 Consumer Protection (USA.gov) - Resource for consumer information from the federal government. Consumer Reports - Independent testing of consumer products and services. Consumer Scams FAQ - What to do if you've been burned. From FindLaw. Consumers Against Supermarket Privacy Invasion and Numbering (CASPIAN) - Consumer group opposed to supermarket loyalty and frequent shopper cards, radio frequency (RF) identification coupled with Auto-ID. Consumers Union - Advice about products and services, personal finance, health and nutrition, and other consumer concerns. econsumer.gov - Website for site for cross-border ecommerce complaints. Find information about consumer protection laws and activities in participating countries. File complaints about online transactions with a foreign company. European Food Safety Authority (EFSA) - The keystone of European Union (EU) risk assessment regarding food and feed safety. Provides independent scientific advice and clear communication on existing and emerging risks. Fair Credit Reporting Act (FCRA) - U.S. Federal Government legislation enacted to promote the accuracy, fairness, and privacy of consumer information contained in the files of consumer reporting agencies. It was intended to protect consumers from the willful and/or negligent inclusion of inaccurate information in their credit reports. To that end, the FCRA regulates the collection, dissemination, and use of consumer information, including consumer credit information. See Wikipedia. FDAVoice - U.S. Food and Drug Administration's official blog. Federal Food, Drug, and Cosmetic Act (FFDCA) - U.S. Code Title 21, Chapter 9. Good Housekeeping Research Institute (GHRI - The GHRI is the product-evaluation laboratory of the magazine, with a staff of scientists, engineers, nutritionists, and researchers dedicated to evaluating and testing everything from moisturizers to bed sheets to cell phones. Also part of GHRI is the test kitchen, which creates, tastes, and triple-tests (at least) the thousands of recipes appearing in the magazine. Green America - Green Business Program starts, supports, and publicizes small socially and environmentally responsible businesses. Consumer Education and Empowerment Program helps people use their purchasing and investing power to create a more just and sustainable future. Corporate Responsibility Program encourages corporations to become socially and environmentally responsible. Sustainable Living Program provides information about practical measures people can take to make their personal, community, and work lives more meaningful and sustainable. Hazardous Substances - U.S. Code Title 15, Chapter 30. Household Products Database - Health and safety information on household products. Identity Theft - Identity theft occurs when someone appropriates your personal information without your knowledge to commit fraud or theft. This site is maintained by the Federal Trade Commission to provide information on ID theft. National Association of Consumer Agency Administrators (NACAA) - Non-profit association for government consumer protection agency administrators. NACAA represents over 160 consumer agencies at all levels of government in the United States and several other countries. National Consumer Law Center (NCLC) - Helps consumers, their advocates, and public policy makers to use consumer laws on behalf of low-income Americans seeking economic justice. National Consumers League (NCL) - The NCL provides government, businesses, and other organizations with the consumer's perspective on concerns including child labor, privacy, food safety, and medication information. National Do Not Call Registry - Most telemarketers cannot call your telephone number if it is in the National Do Not Call Registry. You can register your home and mobile phone numbers for free. Your registration will be effective for five years. The National Do Not Call Registry is managed by the Federal Trade Commission (FTC), the nation's consumer protection agency. National Highway Traffic Safety Administration (NHTSA) - Automobile equipment ratings and safety information; research, data, laws and regulations. NHTSA investigates safety defects in motor vehicles, sets and enforces fuel economy standards, helps states and local communities reduce the threat of drunk drivers, promotes the use of safety belts, child safety seats and air bags, investigates odometer fraud, establishes and enforces vehicle anti-theft regulations and provides consumer information on motor vehicle safety topics. National Safety Council (NSC) - A nonprofit, non-governmental, international public service organization dedicated to improving the safety, health and environmental well-being of all people. NSC statisticians have created a comprehensive system for tracking and compiling injury and illness data, including the annual publication of Injury Death and Fatality Statistics. Council researchers produce Safety & Health, an international, interdisciplinary scientific quarterly. The National Safety Council Library is one of the most complete safety and health information resources anywhere. Also see Injury, Death and Fatality Statistics. On Your Side - Consumer news and information from local San Francisco Bay Area Channel 7 TV Fox News. Publications.USA.gov - U.S. government cite providing full text versions of hundreds of federal consumer publications. 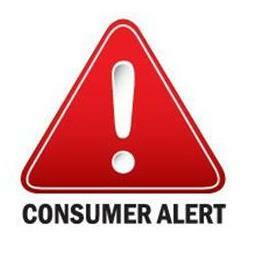 Recalls.gov - Alerting consumers to unsafe, hazardous or defective products, a "one stop shop" for U.S. Government recalls. Ripoff Report - Scams, reviews, complaints, lawsuits and frauds. File a report, post your review. Consumers educating consumers. Rules of the Air - Provides explanations to dozens of topics detailed in the Contract of Carriage which accompanies each airline ticket purchase. Safe Kids Worldwide - A nationwide network of organizations working to prevent unintentional childhood injury. Also see product recalls. Securities Investor Protection Corporation (SIPC) - SIPC is an important part of the overall system of investor protection in the United States. While a number of federal, self-regulatory and state securities agencies deal with cases of investment fraud, SIPC's focus is both different and narrow: Restoring funds to investors with assets in the hands of bankrupt and otherwise financially troubled brokerage firms. Stop RFID - A project of CASPIAN, Consumers Against Supermarket Privacy Invasion and Numbering. Radio Frequency IDentification is an automatic data capture technology that uses tiny tracking chips affixed to products. These tiny chips can be used to track items at a distance - right through someone's purse, backpack, or wallet. Many of the world's largest manufacturing companies would like to replace the bar code with these "spy chips," meaning that virtually every item on the planet--and the people wearing and carrying those items - could be remotely tracked. There is currently no regulation protecting consumers from abuse of this technology. The Utility Reform network (TURN) - TURN champions the cleanest energy and highest quality phone service at the lowest prices possible for residential customers, low-income households, and small businesses through legal advocacy at the California Public Utilities Commission, state and federal policy development, and community organizing throughout California. TransUnion - Credit reports and business services. Preventing fraud. Creating options. Managing risk. Underwriters Laboratories, Inc. (UL) - UL is an independent, not-for-profit product safety testing and certification organization. UL has tested products for public safety for more than a century. Each year, more than 16 billion UL Marks are applied to products worldwide. U.S. Consumer Product Safety Commission (CPSC) - Charged with protecting the public from unreasonable risks of injury or death from thousands of types of consumer products under the agency's jurisdiction. The CPSC is committed to protecting consumers and families from products that pose a fire, electrical, chemical, or mechanical hazard or can injure children. U.S. Department of Transportation (DOT) Aviation Consumer Protection Division - Air travel problems and complaints, air travel consumer report, travel tiips and publications, safety and security information. U.S. Federal Communications Commission Consumer Information Bureau - Consumer information on communications products and services.